More holiday deal goodness! This time it’s Telecel and it’s an international calls deal. 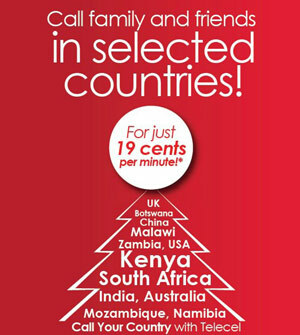 Starting 16 December calls to some 12 international destinations have been reduced to 19 cents per minute. Telecel has been advertising the promo since two days ago. The international destinations are: UK, China, South Africa, Botswana, Malawi, Zambia, India, Australia, USA, Mozambique, Namibia, Kenya. Telecel is not telling anyone how long the promo will last, but information we got from people in the know suggests it runs until end of January 2013. The 19 cents per minute is effective after the first minute. 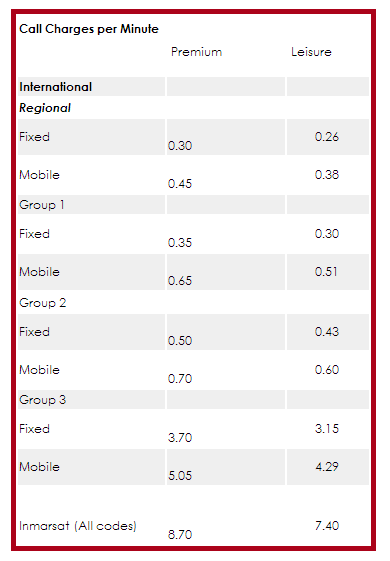 If you’re wondering how much you’ll save making that call to the cousin in the UK, well, here’s a breakdown below of the usual international tariffs as shown on the Telecel website. Your guess is as good as ours which country falls under which region, so if you know (or you have a Telephone directory close by), helps us in the comments below. Hey, Telecel, how about doing the same for the local calls?